I bought a pair on apple.com and waited 6 weeks (the lead time since the initial batch sold out has been, and remains, at 6 weeks) for them to ship. A few weeks ago a co-worker told me www.att.com had them in stock, and since they were in stock with free shipping and my Apple order was 4 weeks out I decided to order a second pair from AT&T and I could get them the next week and cancel the Apple order if my wife didn’t want the second pair (or eBay them for fun & profit). Two hundred words in, lets start the actual review! 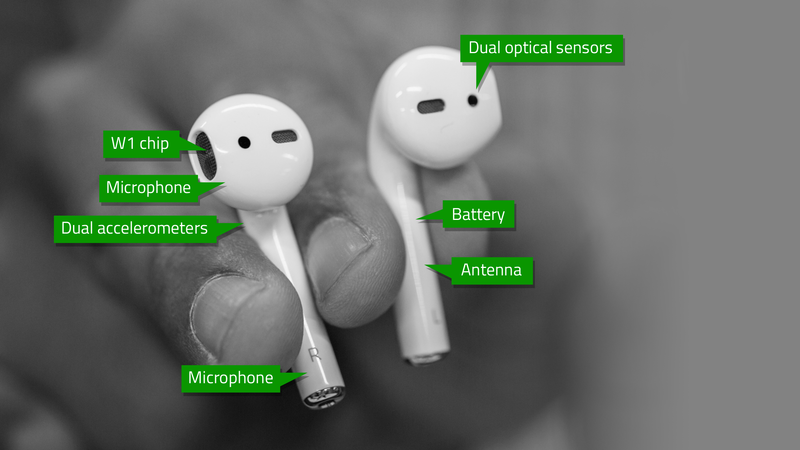 Imagine the wired Apple Earpods we’ve had for a few years now. Now imagine how they sound and how they fit in your ears. Are you happy with how they sound and how they feel? I’ve used and liked the Earpods that ship with iPhones for a long time, so I expected to at the very least like the Airpods as much as the wired version. 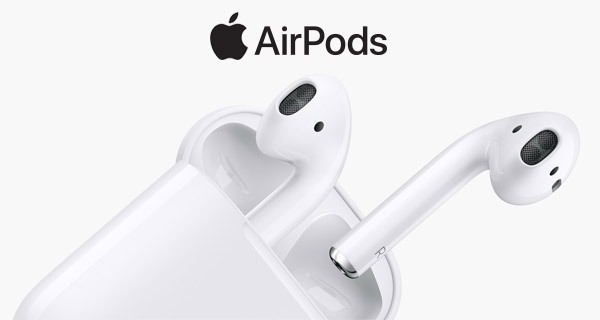 If you like/love the wired Apple headphones, the Airpods are no different. If you hate the feel or the sound of the ones that ship with the iPhone, you’ll hate these as well. It turns out removing the wires makes a HUGE difference in day to day usage (yeah, I know….welcome to Bluetooth tech and 2012). 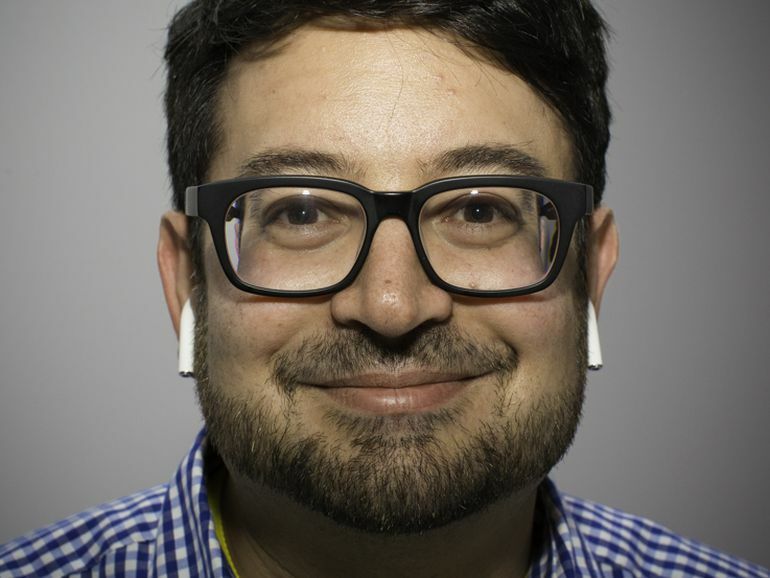 Any worries I had about the Airpods falling out of my ear was completely unfounded. Without the wire to pull on them and get snagged on things, I’ve never had one fall out accidentally in a couple weeks of use. They sound identical (to my ears) as the wired version. If you are happy with how they sound, you’ll like the Airpods’ sound quality as well. The battery life has been great, the storage case keeps them charged up and I simply charge the case every other day during my commute. Really the only issue is the loss of the volume adjustment that is on the wired version. I don’t know how you’d address that in a version 2 of the Airpods, but Apple wants you to use Siri to change the volume (a quick double tap of the Airpods activates Siri by default). As you might imagine, that’s an awful solution. The first thing I did was change that setting to play/pause the headphones. I’ve just settled on changing the volume via the volume buttons on my phone. Not great, but not the end of the world either. I was thinking the other day, now that I’ve used them for a few weeks……would I buy them again? I would. In fact, I really wish I had ordered them back in December so I could have been using them since February.